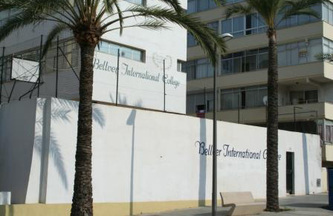 Bellver International College is a non-denominational, co-educational day school. 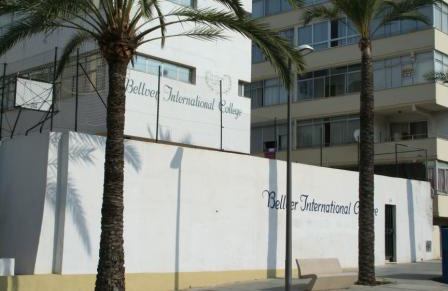 Founded in 1950, Bellver is the longest established privately owned British school in Spain. The college is situated close to the beach (opposite to the King of Spain's summer palace) in a residential area 3 km from the centre of Palma in Mallorca. Bellver adopts a combined pragmatic and academic philosophy which encourages every pupil, throughout the ability range, to participate in a wide spectrum of academic studies, varied learning experiences and individual programmes of achievement. At Bellver International College, English is the language of instruction. All pupils become bilingual in English and Spanish. French, German and Catalan are also offered. The school is an official examination centre for both Cambridge & Edexcel examination boards. British style tuition prepares pupils for public examinations: I.G.C.S.E., A/AS level. Spanish teachers provide the requirements for Spain's Ministry of Education. Bellverians can thus apply by direct access to any university or other establishment of further education worldwide. Examination results have been excellent at all levels with 99% of our 6th Form leavers going to University. Bellver offers 15 subjects at G.C.S.E. level and 13 at A/AS level. The school year is from early September to the end of June. The day starts at 8.55 and ends at 16.15. An extensive extra-curricular programme is offered during the lunch hour and after school. Special provision is also available for students with a low level of English. Recognised by the British Department for Education and authorised by the Spanish Ministry of Education, Bellver is able to admit Spanish pupils as well as foreign nationals. Pupils are accepted after an interview between parents, pupils and the school Principal. An entry test is required for admission into the Senior Department. Bellver provides a quality British education in a friendly environment for intellectual, social and emotional growth.